John Bergmsa, Brant Pitre, and I are pleased to welcome a fourth contributor to The Sacred Page: John Kincaid. John is a great fit for this blog. Like the rest of us who write here, John is deeply committed to integrating biblical exegesis and theological reflection. 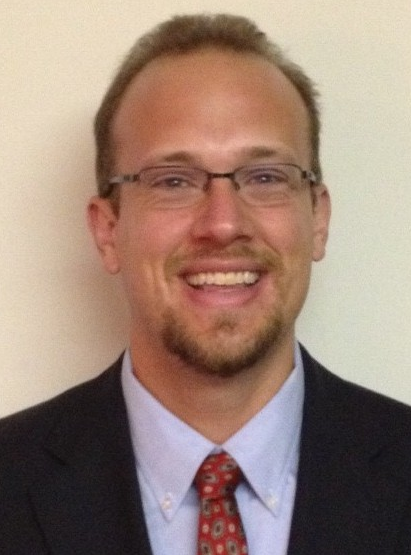 A doctoral candidate at Ave Maria University, John is writing a thesis under Michael Waldstein, entitled, "Recovering the Ancient Perspective on Paul: Augustine, Aquinas, and the Question of Participation in Christ in Recent Scholarship." This is an exciting project. John knows contemporary Pauline scholarship very well. . . but he also has an expertise in the Church Fathers and in the works of Thomas Aquinas. In fact, he has found some obscure texts in writers such as Augustine that I think are going to really surprise people. In short, John demonstrates that ancient readers were no less subtle than contemporary scholars. What many will find surprising is that many of the same issues debated today in Pauline scholarship were addressed by these theological giants long ago. Indeed, they were truly ahead of their time. Specifically, John's thesis looks at their account of the nature of Paul's understanding of participation in Christ. Trust me, his work is going to turn a lot of heads. If you want a sneak peak at some of what he is doing, John has also co-authored an article with Scott W. Hahn, entitled, 'The Multiple Literal Sense in Thomas Aquinas's Commentary on Romans and Modern Pauline Hermeneutics,' which was published in 2012 by CUA Press in Reading Romans with St. Thomas Aquinas, edited by Matthew Levering and Michael Dauphinais. I highly recommend it. Among other things, they look at Thomas' explanation of the "righteousness of God" in Romans 1:16-17. Like me, John is a professor at John Paul the Great Catholic University, teaching graduate and undergraduate courses in Scripture and Theology. 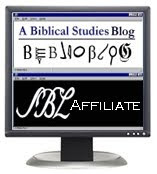 John is also co-author of the paper that we are presenting at this upcoming Society of Biblical Literature Conference: "Cultic Theosis in Paul and Second Temple Judaism: A Fresh Reading of the Corinthian Correspondence". Of course, N.T. Wright, Pamela Eisenbaum, and Ward Blanton will be responding to the paper. In addition to the theological projects of Augustine and Thomas Aquinas and contemporary Pauline studies, John's research interests also include the relationship between modernity and contemporary biblical studies. He received a Th.M. in systematic theology (under Reinhard Hütter) from Duke Divinity School and a M.A. in Theology from Covenant Theological Seminary. As you might suspect from his curriculum vitae, John is a convert to the Catholic faith. Welcome aboard, John Kincaid! Stay tuned for his first post, which will explore this Sunday's readings. What wonderful news! Thank you Mr Kincaid for participating in this great blog. Im sure your contributions will be as brilliant as your TSP brethren's are. I eagerly await your first post. Will he be joining the podcast too?